An English couple have appeared in court in Derry charged with being concerned in the supply of drugs into Northern Ireland. Kelly and Ross Brennan, with an address in Exeter, England, are charged with being concerned in the supply of Diazepam, conspiring to supply the drug and possession of the Class C drug with intent to supply. The offences were allegedly committed between October 2015 and June this year. An investigating officer told Derry Magistrate’s Court the case was a ‘very complicated and complex matter’. She said that in February, packages of Diazepam had been intercepted in Derry by the Royal Mail. They were addressed to two men, who have since been charged with drugs offences. These men told police that they had ordered the drugs on a social media site with a view to supplying. The packages all bore a ‘fictitious postcode and specific handwriting’. More packages were intercepted by Royal Mail in May and some had been sent from the Exeter area. An indepth investigation resulted in Exeter police arresting the Brennans. When police arrested the couple, they found a large number of bank cards in their possession in different names. They also discovered that orders had been made by email and through a fictitious Facebook profile. Orders for the drugs were also made on a secret app on their phone through the Dark Web. Both made admissions in police interview to supplying Diazepam on a large scale to Northern Ireland. The court also heard allegations that a further six packages were posted in the last six days, some of which may still be in the postal system. The officer said the pair had been co-operative when interviewed and that they were working for ‘a bigger person who they don’t know on the Dark Web’. They told police that around 10 packages a day were being posted. 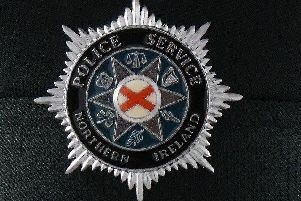 The officer said that ‘Northern Ireland was too fruitful a business’ to give up on and because of the intercepts the style of the operation was adapted for bigger customers in Northern Ireland, the Republic of Ireland and England. It is alleged the couple were making over £100,000 for ‘Mr Big’ and for every £100 ‘Mr Big’ was making, the couple were taking £10. However, the court was told Ross Brennan owes this unknown man £14,000. The court heard further allegations that a woman in England died of an overdose of alcohol, Diazepam and another drug. The couple are linked to supplying her with the Diazepam. The officer said she could think of no bail conditions which could prevent the couple from re-offending. She added that police feared the couple may also interfere with the course of justice. Defence solicitor Paddy Kelly said the couple co-operated with police and gave them both the passcodes to their phones and access to secret apps on their phones. Mr Kelly said the couple’s passports have also been seized so they are not a flight risk. District Judge Barney McElholm released the pair on their own bail of £1,000 to reside at their address in Exeter. They must report to police there three times a week and not possess any mobile telephones or devices with internet access. The couple are also banned from having any contact with the people who provided them with bank cards.